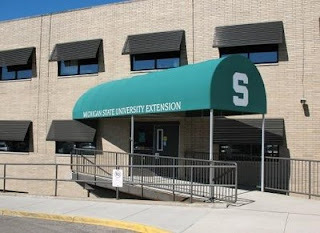 MSU Extension - Jackson County is an educational leader working with local citizens, government and community organizations, which is based on University research and involves learners in setting goals and applying knowledge for a better life. Promoting diversified economic development which enhances quality of life, preserves the environment and provides economic stability in Jackson County. Working with children, youth and families in Jackson County to promote health and healthy lifestyles. Land use education and farmland preservation.